For a split second I was thinking God was going to amplify my physical beauty in such a way that supermodels would envy me. Um, how about no!?! Considering this scripture, it may be safe to say I am getting ready to share the ashes of my life with others. I am getting ready to share the daytime and bedtime fears that crippled my progress for years. I am about to bring to light the darkness of my selfish ways and wicked thoughts. I will have to share the sadness of failure, the obsession with revenge, and the poison of jealousy that gripped my heart. The ashes of my life are getting ready to go on display so that some may be saved, enlightened, and encouraged. 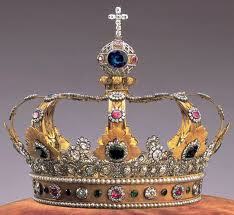 Honey I’m rocking my Crown!!!!! I see you doing your thing Charity!!!! Your writing is going to set you and so many others FREE!!!!! Thanks for the great read.